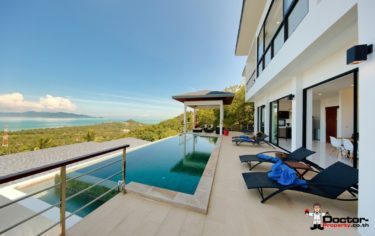 This is one of a magnificent duo of luxurious and well-presented villas, perched on the hillside near the northern coast of Koh Samui, Thailand overlooking the bays facing the Gulf of Thailand. Nestled in the emerald hills of Mae Nam, these 2 luxury villas are designed so that you can fully enjoy the tropical climate and the beauty of the island’s environment indoors and out. The combination of the lush green landscape below combined with the sparkling blue sea and Koh Phangan in the distance make for a breathtaking panoramic living picture any time of the day. The vil­las are fin­ished in a mod­ern Thai decor, spread over 2 floors, with a Bali­nese stone deck area and pool. 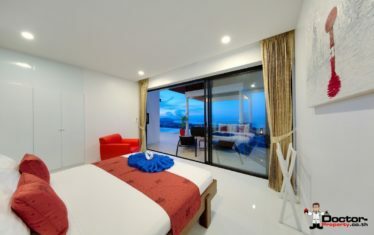 There are 4 dou­ble bed­rooms in each vil­la, which can accom­mo­date up to 8 adults mak­ing it a pop­u­lar choice for large groups and fam­i­lies vaca­tion­ing togeth­er. 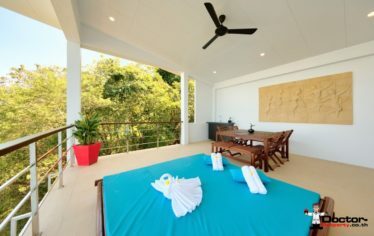 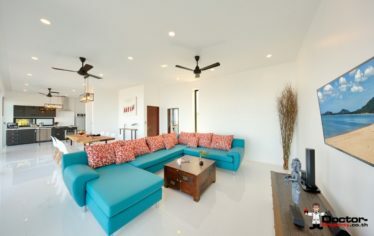 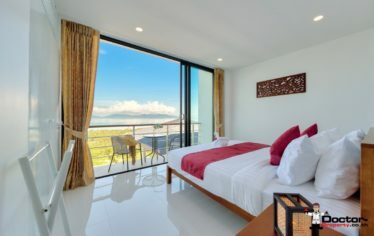 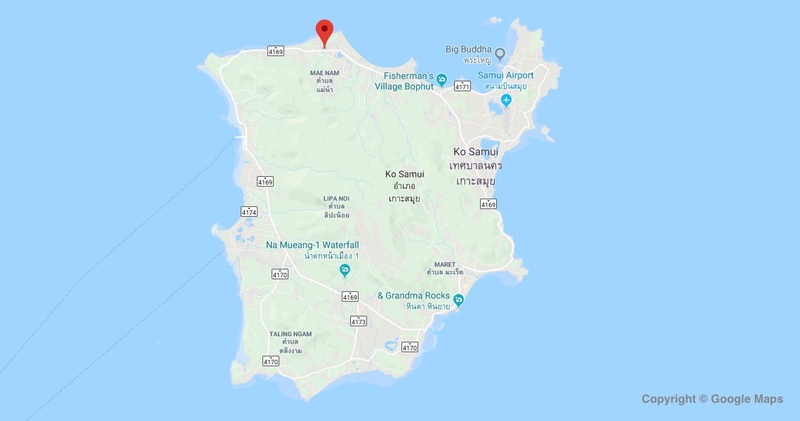 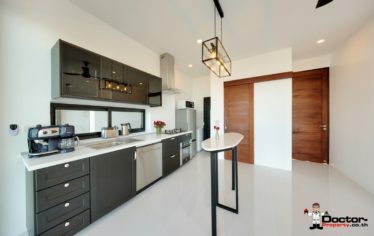 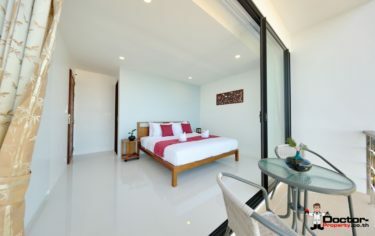 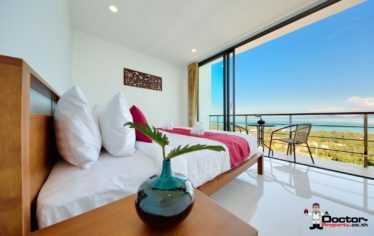 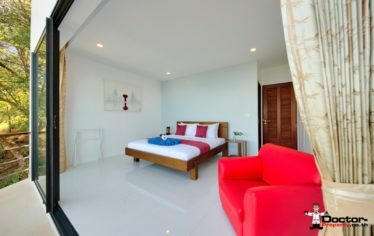 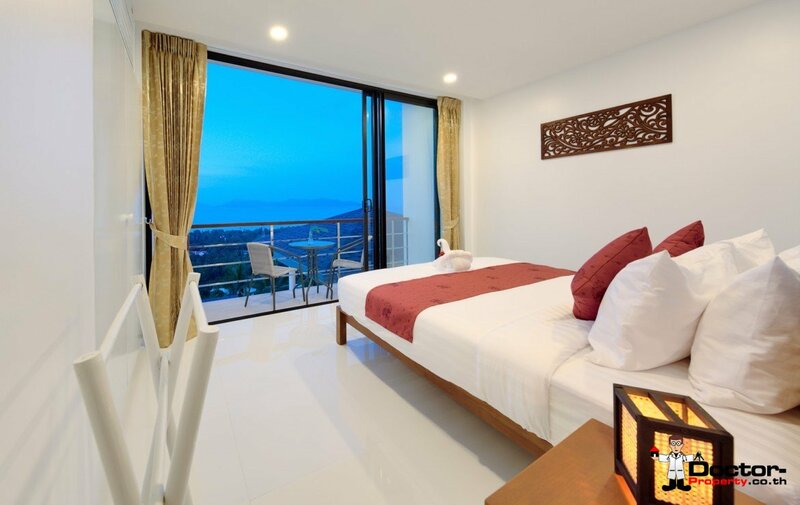 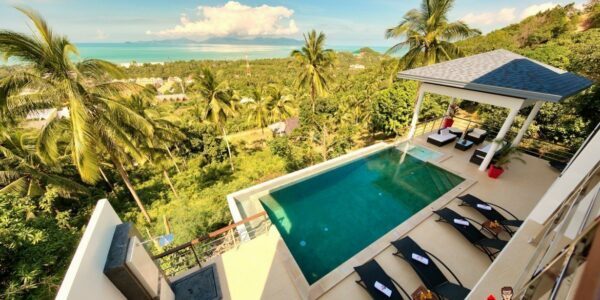 The vil­la has been been suc­cess­ful­ly rent­ed out since com­ple­tion mak­ing it a safe invest­ment into Koh Samui’s tourist indus­try. 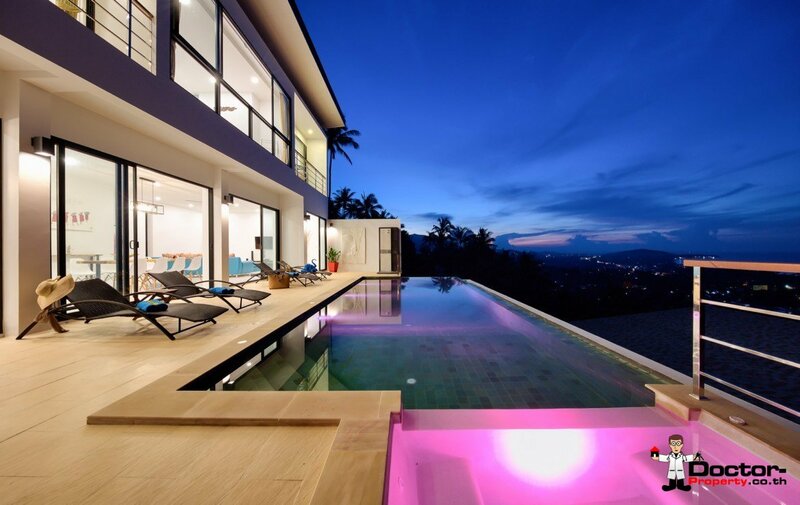 Full details pro­vid­ed upon request. 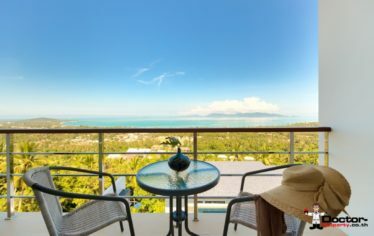 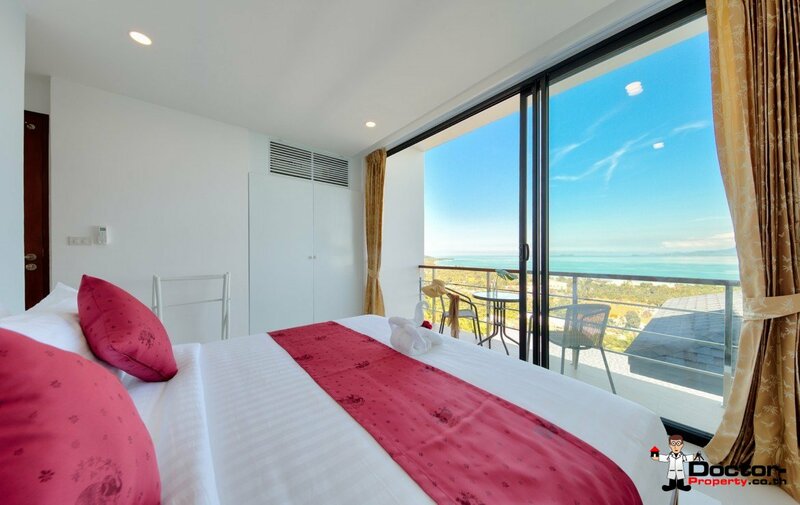 In the local­i­ty you will find all you need for any enjoy­able stay, or per­haps a longer term res­i­dence. 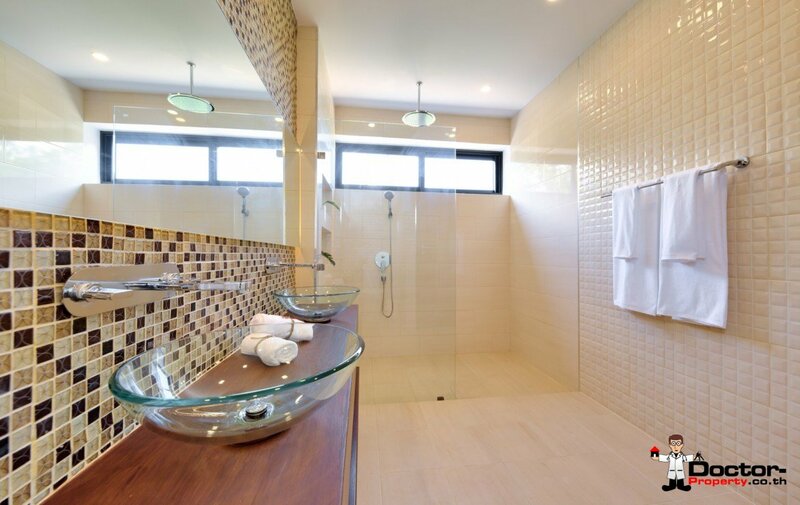 Call us now for a vis­it, we are always hap­py to oblige. 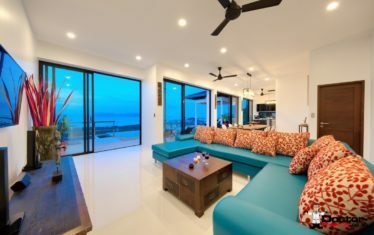 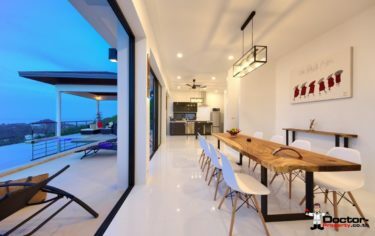 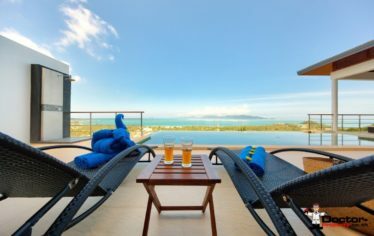 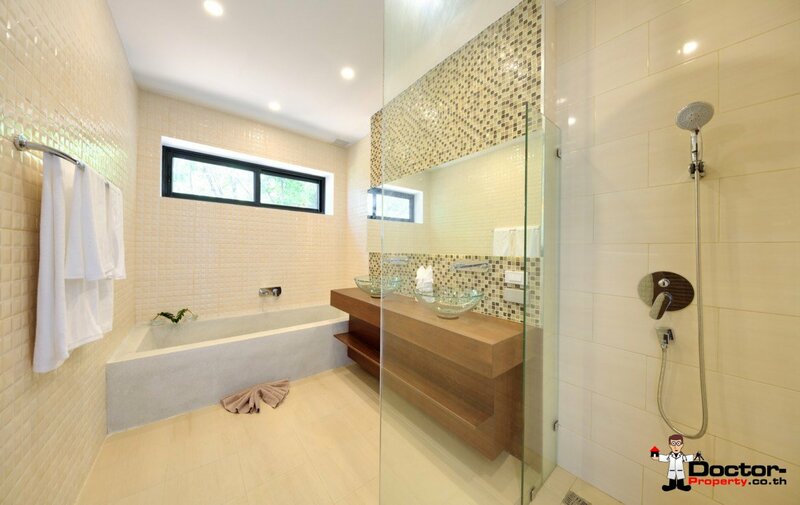 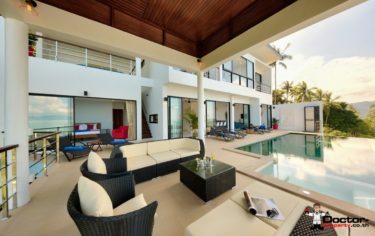 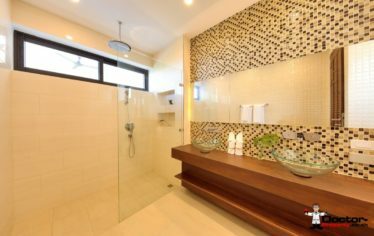 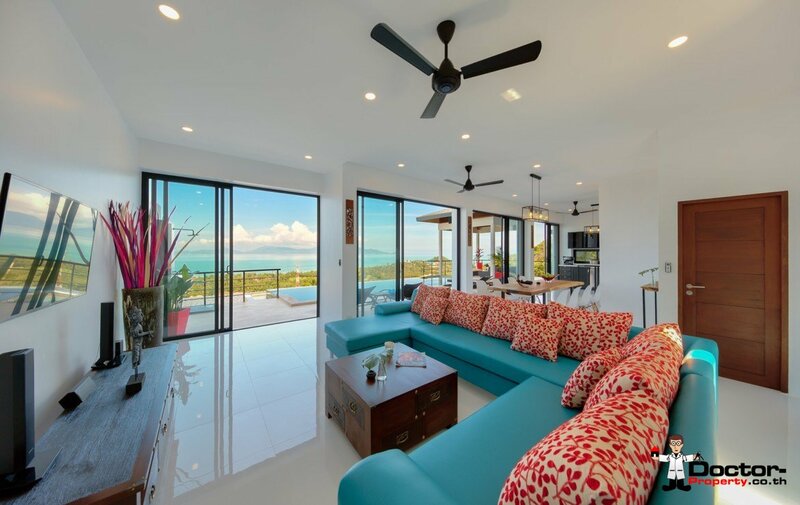 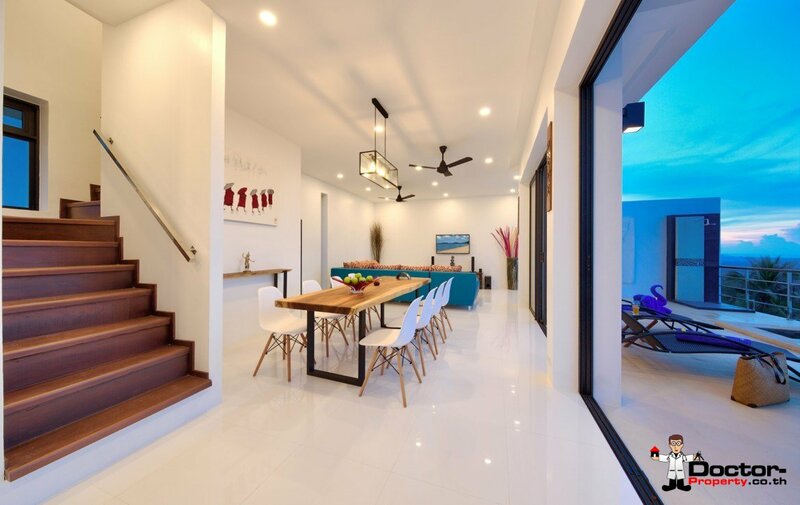 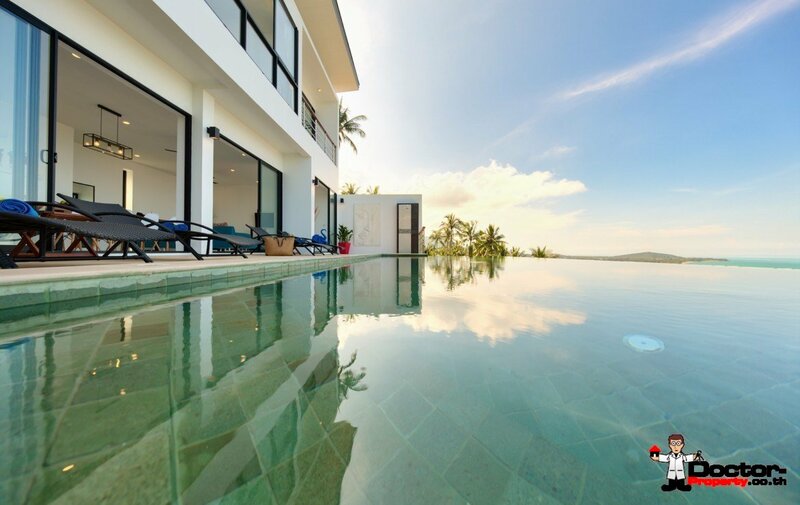 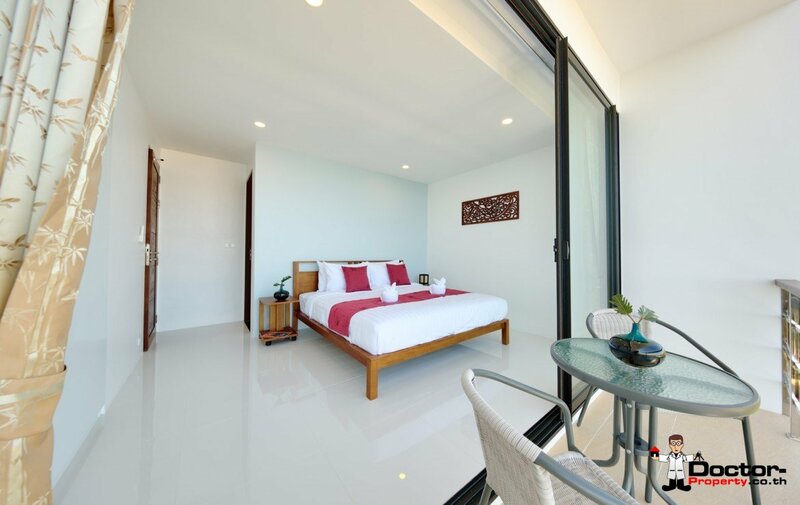 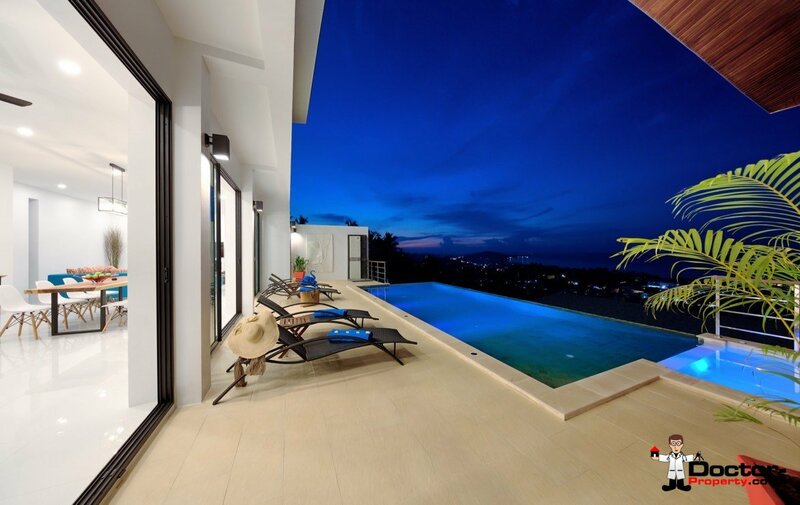 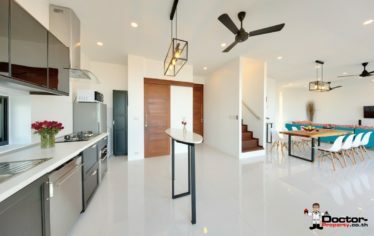 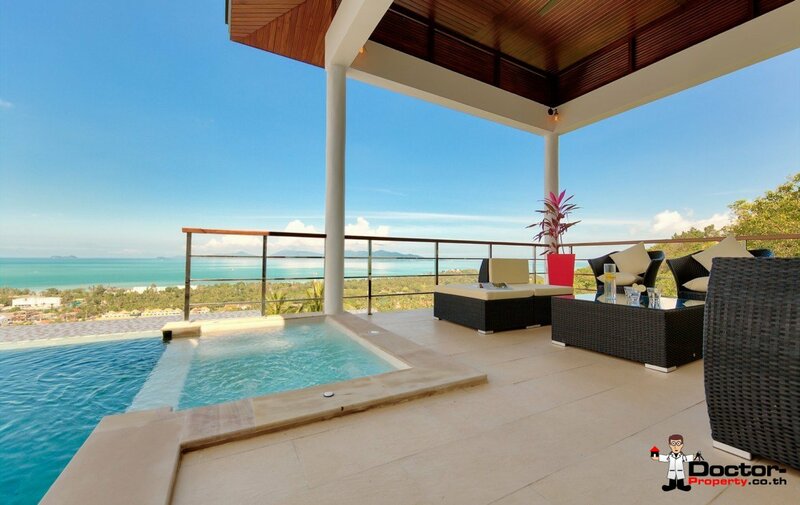 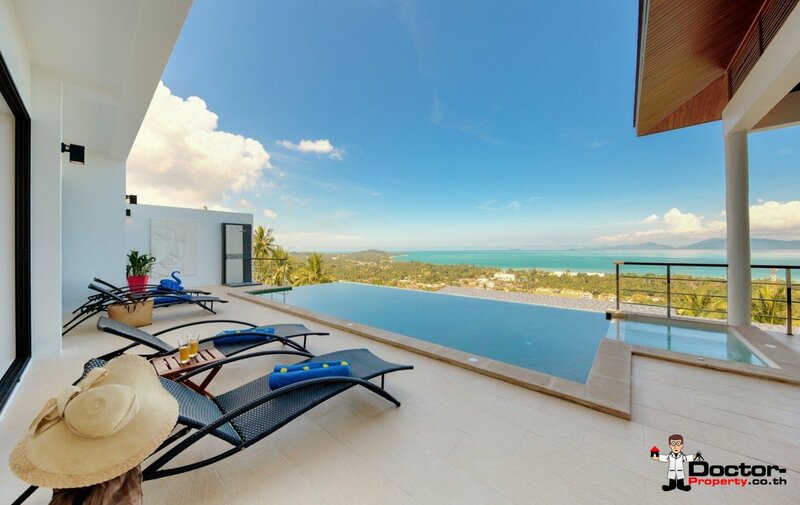 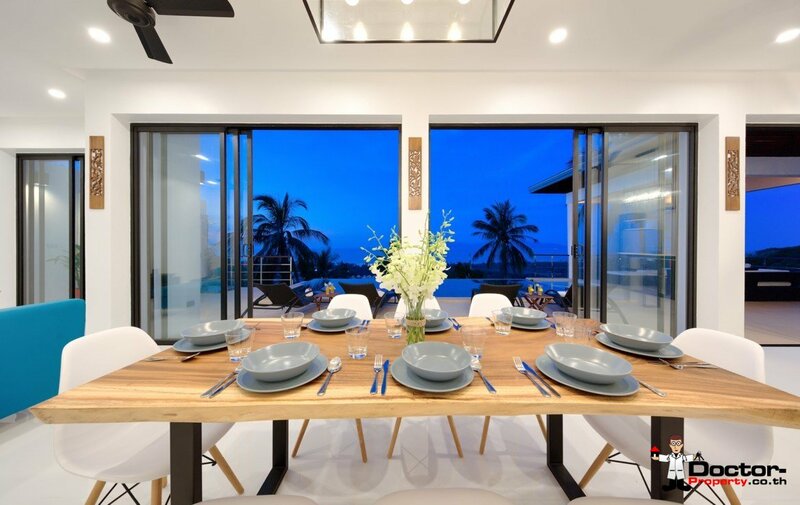 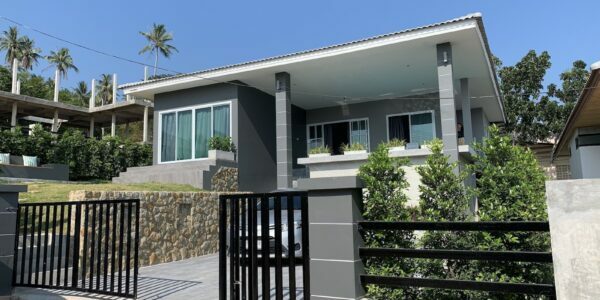 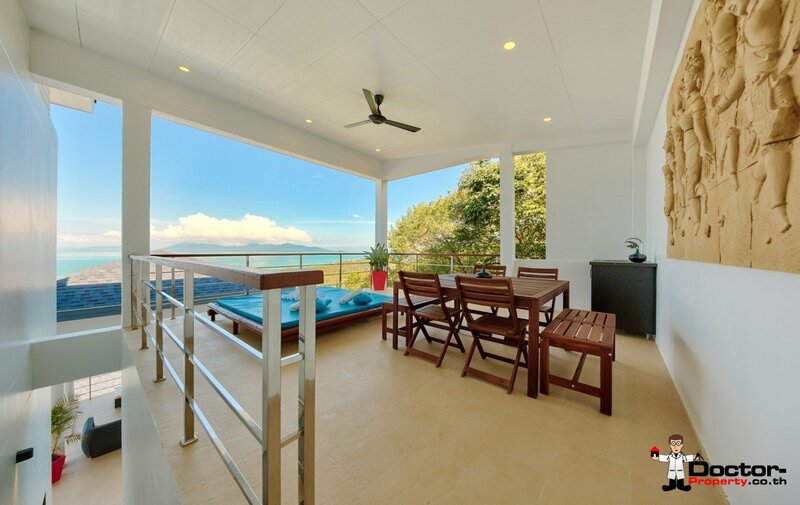 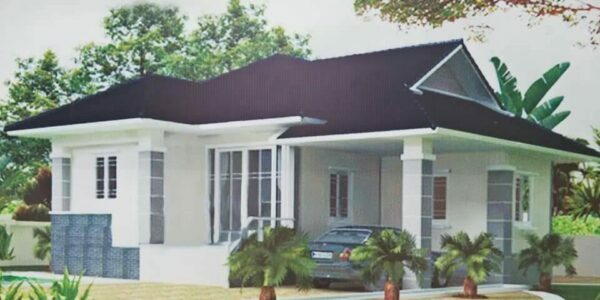 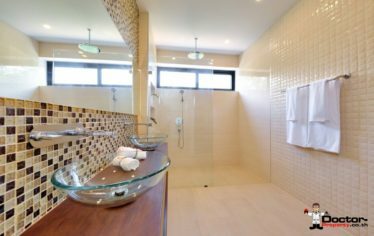 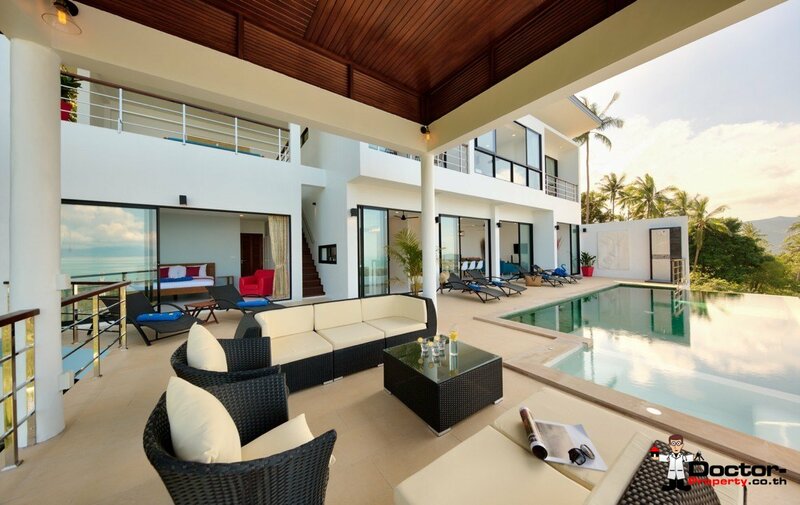 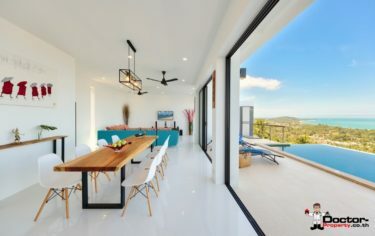 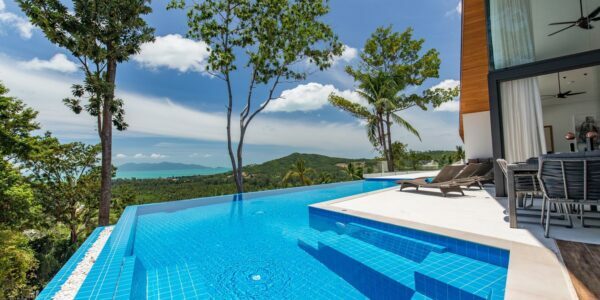 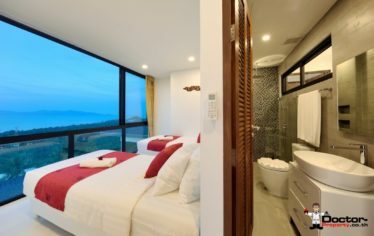 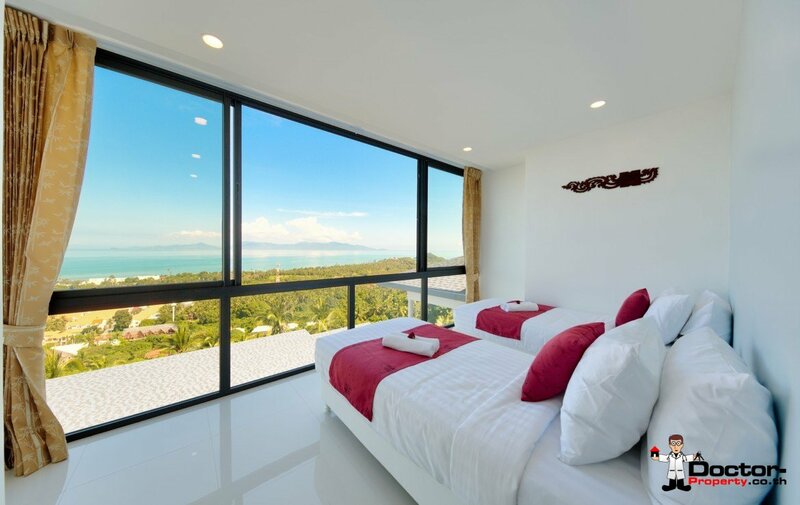 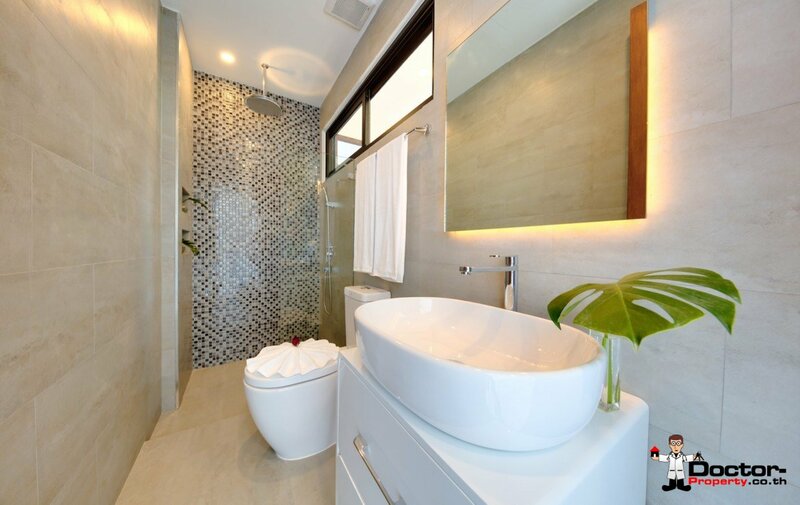 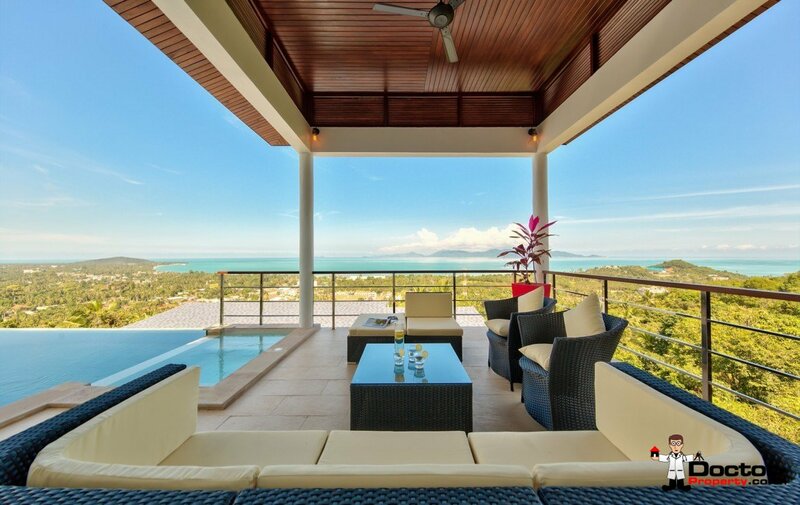 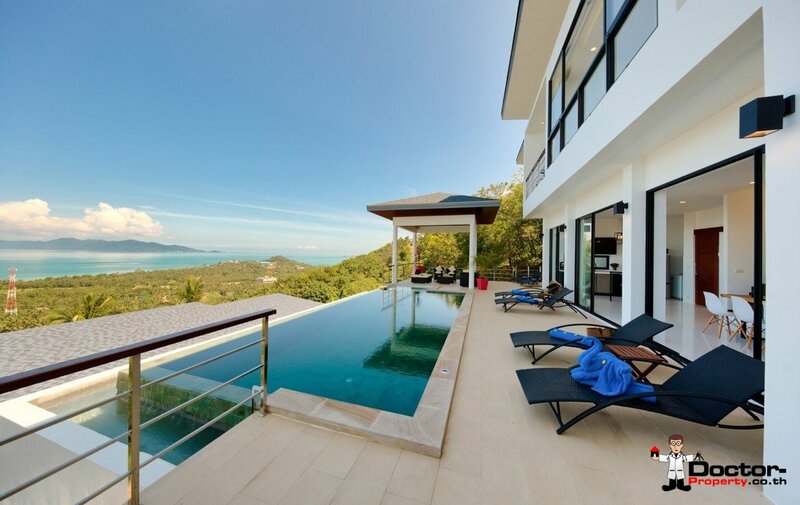 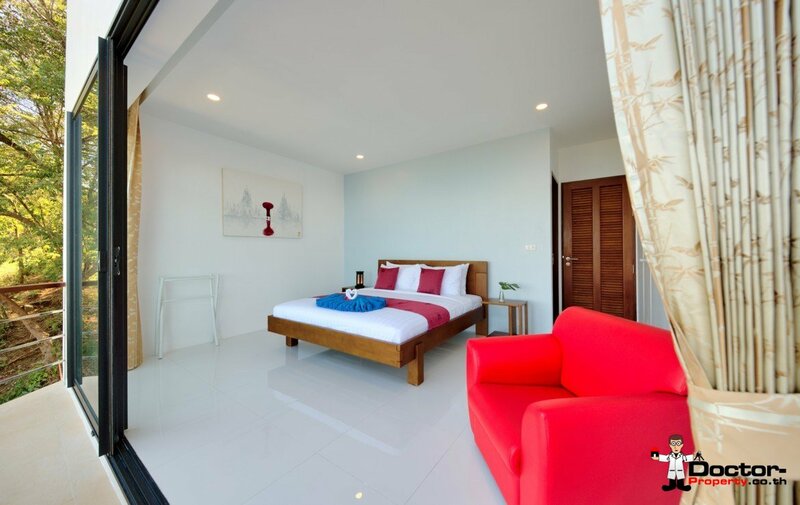 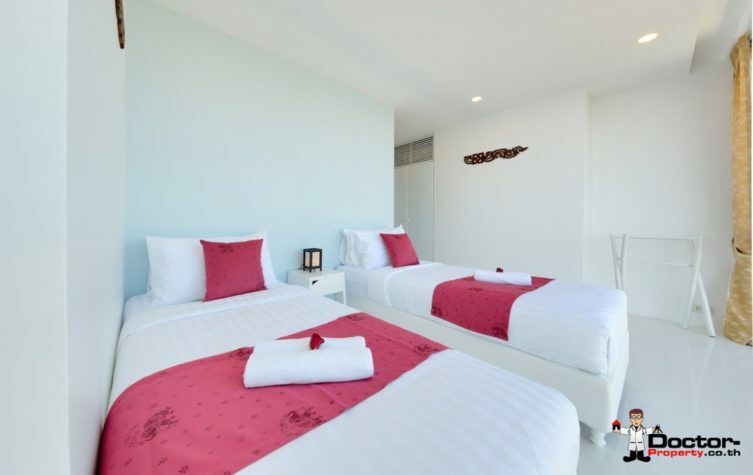 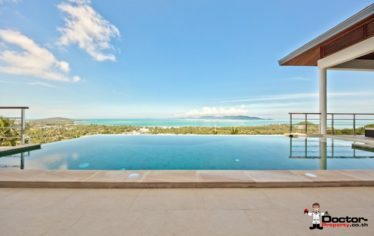 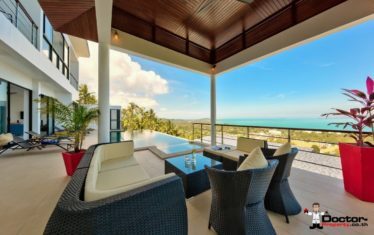 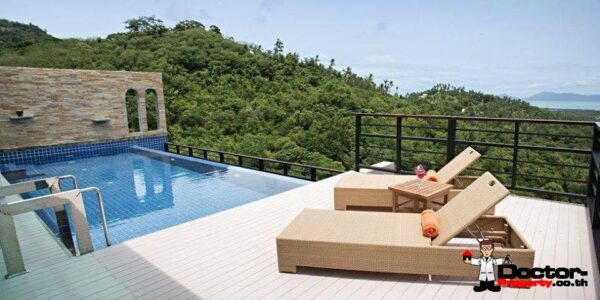 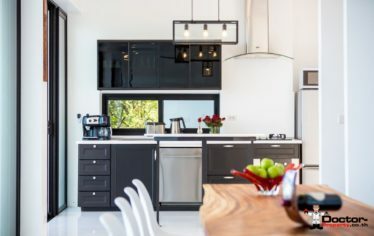 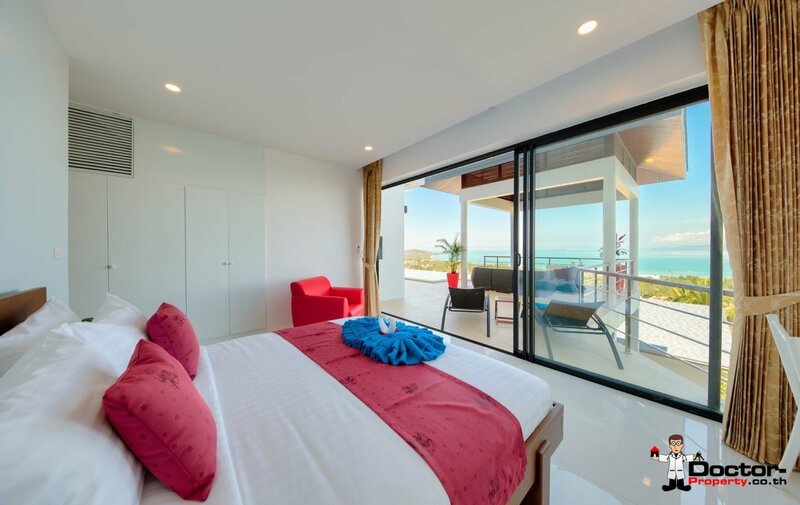 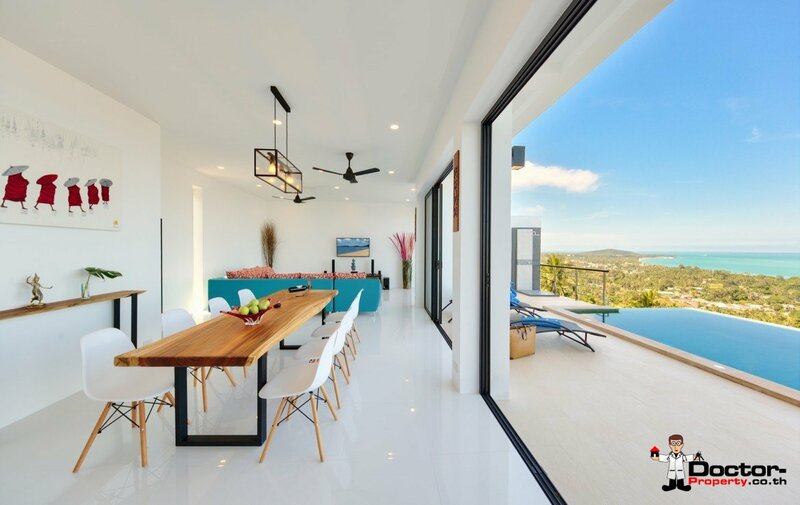 Characteristics: Koh Samui Properties for Sale, Buy Villa in Koh Samui, House for Sale Mae Nam, Pool, Seaview, Koh Samui, Real Estate in Thailand.